Increase your easygoing style and comfort levels instantly with the Skechers Superior 2.0 Vorado trainers. Featuring a soft woven canvas fabric and suede upper in a slip on casual comfort moc, complete with stitching and overlay accents. For your comfort, the Skechers Superior 2.0 Vorado has an air Cooled Memory Foam insole. Easy to slip into with dual side stretch fabric panels. 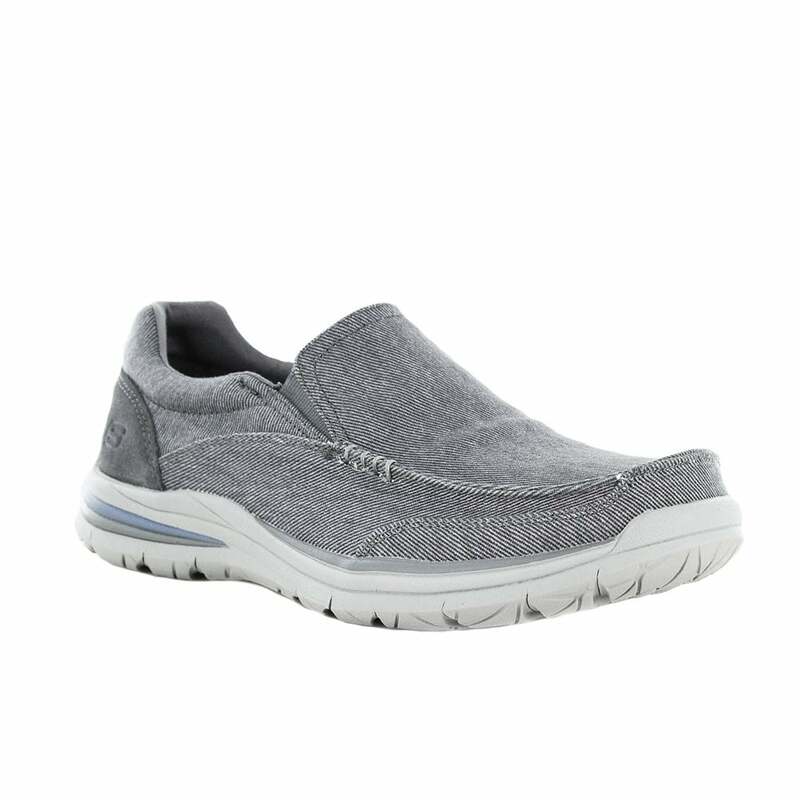 Buy the Skechers Superior 2.0 Vorado Mens Slip-On Trainers in Charcoal at Scorpio Shoes!